You’ve heard the ads – they’re everywhere. “We will cut your credit card bills in half!” they claim. “You have a right to credit card relief” say others. “We will reduce your interest rates and your monthly payments,” boast some. It all sounds so appealing, especially to people who are getting behind on their payments and don’t know where to turn. But there are some important things you should know about the companies who offer these services. These companies deal only with your credit card debt. Typically, they offer no help or relief when it comes to home mortgage and car loans, which is often a large part of your debt problem. The relief they offer involves you, the debtor, making monthly payments to the debt consolidation company. If you are in a position to make such monthly payments, chances are you don’t need the assistance of the debt consolidation company. The debt consolidation company will usually take their fee from your first payments, which means that you will spend hundreds or perhaps a thousand dollars or more in fees, and it will still be many more months before you get any help with your credit card debt. The success of most of these consolidation plans involves stopping all credit card payments. This means you will be seriously delinquent on all of your credit card payments. This will destroy what may be left of your credit rating, and will keep your credit rating low for a very long time. During the time when the debt consolidation company is accumulating your money, the credit card companies are under no obligation to stop or even delay collection activity – which means the companies will continue to call and harass you. They frequently will sue you (take you to court) so that they can garnish your wages and levy against your bank accounts. The debt consolidation company you are paying is powerless to stop these proceedings. After the debt consolidation company has paid themselves from the money you provide, they will make settlement offers to the credit card companies, ranging from 25 to 60 cents on the dollar of the total amount you owe. What you need to know is that for the most part these debt consolidation companies have no more influence or clout with the credit card companies than you would have if you make the settlement offer yourself. In other words, you are paying this company lots of money to make a phone call that you could make yourself and get the same result. The pitfalls explained above apply to the reputable debt consolidation companies. There are many out there who are not reputable, and involve various scams which are designed to take your money without ever providing any significant debt relief. 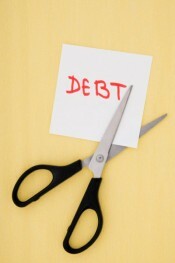 Before you sign on with any debt consolidation or debt relief company, please give me a call. I offer a free half-hour consultation, during which I would be happy to review the debt consolidation agreement you are being asked to sign. I may be able to save you a lot of money, and keep you from making a mistake you will later regret. Depending on your individual situation, I may also be able to explain to you better options which will deliver meaningful debt relief in a much shorter period of time, and can keep you from being further harassed by creditors. Whether you call me or not, I hope this information is helpful, and that you will share it with others who can benefit from knowing this.